This is a self-styled religious organization, the Creativity Movement incessantly promotes what it sees as the inherent superiority and "creativity" of the white race. About the only tenets there are to its supposed "theology." The group was formed in 1973 as the Church of the Creator and was later renamed the World Church of the Creator (WCOTC). Born: Bernhardt Klassen, (aka: Ben Klassen), February 20, 1918 in the village of Rudnerweide, Ukrainian People's Republic and Died August 6, 1993 at the aged 75 and layed into his Resting place in the United-States town of Otto, North Carolina. 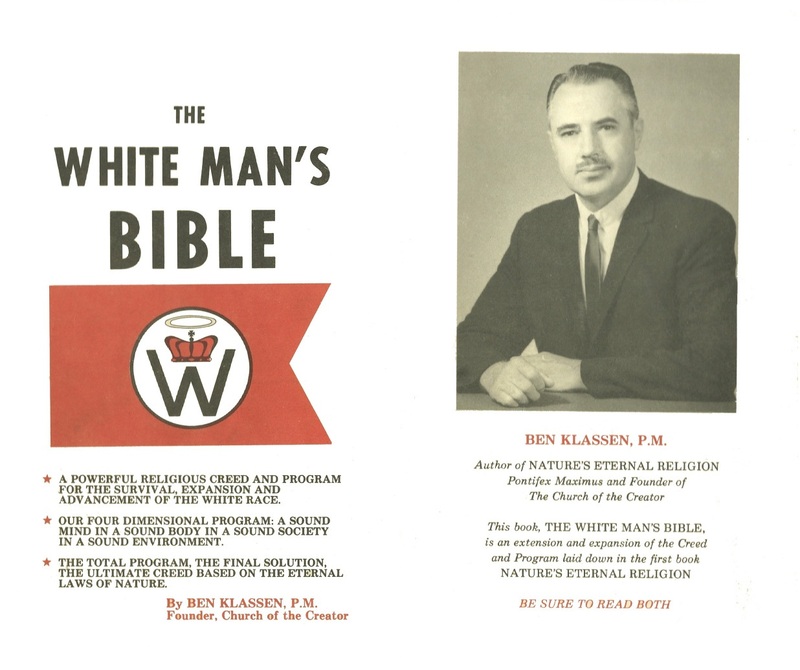 Ben Klassen was a self-described white separatist and racial purist American politician who was also a religious leader who founded the Church of the Creator with the publication of his book Nature's Eternal Religion in 1973. At one point, Klassen was a Republican Florida state legislator, as well as a supporter of George Wallace's presidential campaign. In addition to his religious and political work, Klassen was an electrical engineer and he was also the inventor of a wall-mounted electric can-opener. After the 1993 suicide of Ben Klassen, who initially formed the group in 1973 as the Church of the Creator and wrote a number of foundational texts, new leader Matt Hale renamed it the World Church of the Creator (WCOTC) in 1996. 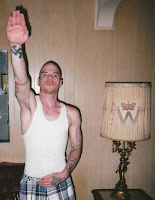 The group, largely composed of racist skinheads, developed a reputation for the rampant criminal violence of its members and the verbal violence of Hale. After Hale was convicted of soliciting the murder of a federal judge in 2004 — and the group was ordered to change its name because of a ruling in a copyright infringement trial — the once-formidable outfit now known as the Creativity Movement all but collapsed, leaving only weak remnants. Bernhardt (or Ben) Klassen February 20, 1918 (O.S. 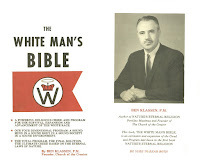 February 7, 1918) – August 6, 1993) was a self-described white separatist and racial purist American politician who was also a religious leader who founded the Church of the Creator with the publication of his book Nature's Eternal Religion in 1973. At one point, Klassen was a Republican Florida state legislator, as well as a supporter of George Wallace's presidential campaign. In addition to his religious and political work, Klassen was an electrical engineer and he was also the inventor of a wall-mounted electric can-opener. Matt Hale spent years pumping out violent and aggressive propaganda, particularly once he became "Pontifex Maximus" of the World Church of the Creator, which for a time was one of the largest neo-Nazi groups in America. Matthew F. Hale (aka: Matt Hale). At the age of 11, Matt Hale realized he was a white supremacist. He would spend the next two decades involved in white nationalist and neo-Nazi groups while still living in his childhood bedroom. Hale spent years pumping out violent and aggressive propaganda, particularly once he became "Pontifex Maximus" of the World Church of the Creator, which for a time was one of the largest neo-Nazi groups in America. His beliefs inspired a killing spree by his follower and friend Ben Smith and led him to solicit the murder of a federal judge, which landed him a sentence of 40 years in prison in 2005. Since his imprisonment, the group he long led has been renamed The Creativity Movement and broken up into small remnants.